Sugar is a song all guitarists should learn, since it can really improve one’s rhythm guitar skills. The song uses 4 chords all together, so learning those is the easy part. The hard part is actually keeping time and rhythm during the entire song, when you play along with it. That is a challenge, as you will soon see, and this is what makes learning it so beneficial. We’ll start our guitar lesson on Sugar by learning the chords to the song. Once we get the chords to Sugar out of the way, we’ll learn several ways you could play them in the song to make it a bit more interesting. In the original song, during the intro, they just have a single strum of each chord lasting for 1 bar. You can do that, but if you’re not accompanied by a band, it’ll sound pretty boring. Instead, try using the fingerpicking pattern I teach you in the lesson. If you’d rather strum, I’ll teach you several strumming patterns with varying difficulties. Experiment with them all, and work towards the hardest one. It sounds really cool when you get it up to speed, it’s a very nice pop-rock strumming pattern that you can use in other songs as well. 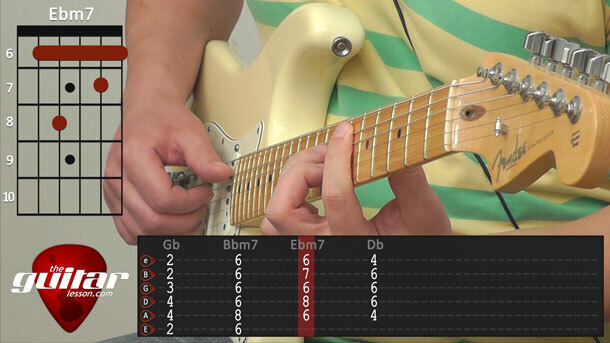 In fact, you can try creating your own chord progressions using, and apply this strumming pattern. It’ll sound great, trust me. Sugar was released by Maroon 5 on their album V in 2014. It was the 3rd single from the album. It has a really catchy disco-funk-pop feel to it, something which Maroon 5 really excels at. The song has a very memorable music video, where the band become wedding crashers. It was inspired by one of my favorite movies, Wedding Crashers. If you haven’t seen it, make sure to check it out. Both the movie, and the Maroon 5 music video on youtube. Sorry, but you've reached a premium content area. The download of the Sugar tablature file is only available to premium members. Sorry, the same goes for the backing track. To download the backing track to Sugar, please log in and revisit this page.